Looking for the absolutely most perfect Christmas gift ever or an amazing indulgent treat for the Harry Potter fan in your life? I have the most exclusive invitation for you to join in a Wizarding - Harry Potter-inspired divination class. Taught by the famous Annie from "Tea With Annie" and held in the most amazing venue of Mamor Chocolates. 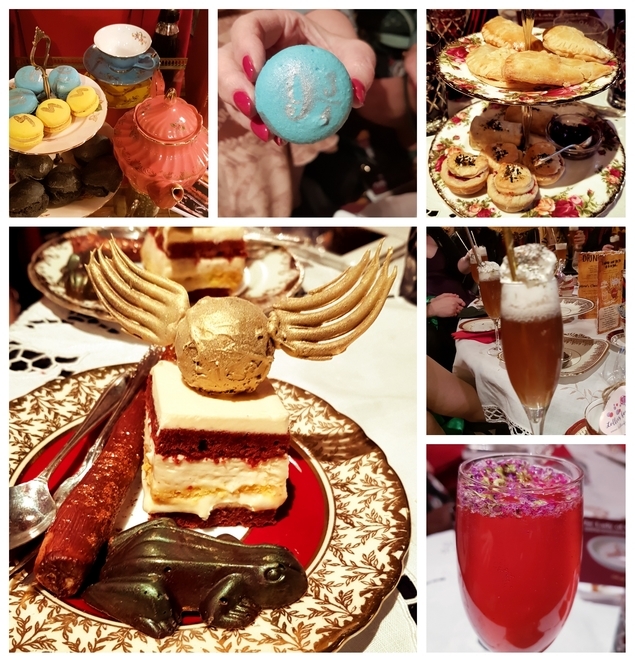 You are invited to drink Butterbeer and Rose Love Potion, along with eating The Golden Snitch, all in a wonderful high tea and divination class. 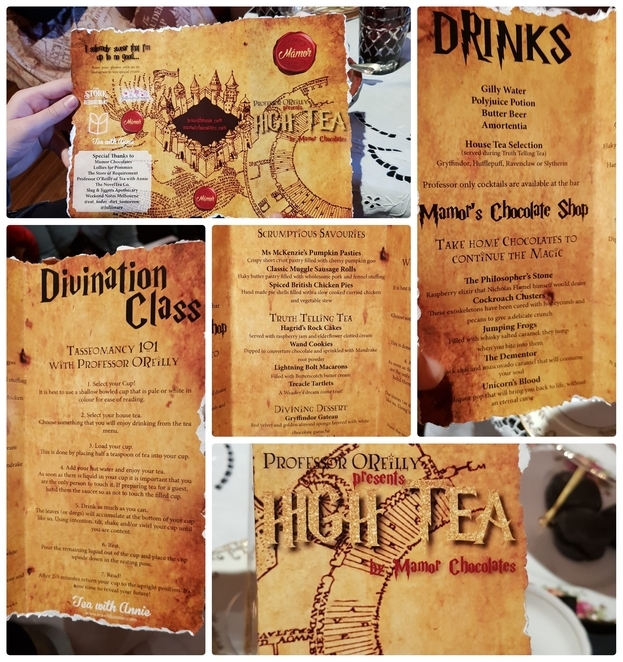 Guests are encouraged to wear their most outrageous Harry Potter outfits, bring their wands and get set for a truly fun high tea and class. Upon arrival, Professor O'Reilly will warmly welcome you and show you to your seats - in a very elegant and somewhat mysterious classroom. Of course, it just would not be right to seat you without knowing which house you officially belong to. You must, of course, be officially "sorted". Your personal sorting cupcake will enable you to discover for yourself which house you are placed in. Don't worry, it's only for tonight (just in case you are not happy with the outcome) although, you are encouraged to film your discovery and placement. Let the feasting begin with a delicious glass of huge Butterbeer. 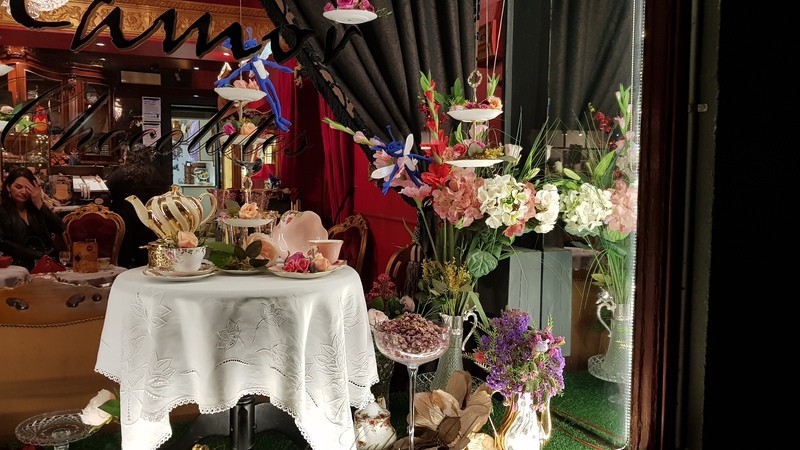 A lovely three-tiered high tea stand announces the beginning of your savoury journey. Platters piled high with delicate little pies and pastries; your taste buds are in for a treat. Polyjuice Potion is a lovely refreshing way to continue your afternoon or evening, as guests are encouraged (as with any high tea) to simply sit and chat over their culinary treats. Whilst relaxing and chatting with your fellow classmates, you will be instructed into 4 different teas - one for each house. Once you have made your tea selection, under expert guidance you will carefully drink your tea in the appropriate way required for a tessellation class; you will begin to read each other's tea leaves under the careful and diligent guidance of Professor O'Reilly. On December 1st - at Mamor Chocolate Szalon - the class is focused on divination and scrying - using pendulums to reveal your subconscious hidden messages. Future upcoming dates will all have a slightly different specific theme and form of divination. No high tea would be complete without decadent and indulgent sweet treats. On our visit, we were presented with Red Velvet Golden Cake, Golden Snitch Truffles - filled with indulgent centres, a glistening chocolate stick of Mandrake Root and of course, the infinitely famous Chocolate Frog. With the mysteries of your life unfolding, ceremoniously (hopefully) all will be revealed to you in this lighthearted fun class. All questions answered, the evening capped off with Love Potion drinks. On the night we visited, we were fortunate to have Professor O'Reilly's very own father join us, he shared a personal reading just for myself and some of the other class participants, which was a treat. If you're not fully kitted out for your divination class, just around the corner is The Store of Requirements, where you can buy your wands, capes, books and other Harry Potter-inspired paraphernalia. Imagine giving this as a gift to your significant other Harry Potter fan - it will certainly be a night to talk about and remember. Each class and high tea has a slightly different theme - please Contact Annie to check and read all about which one you are booking in for. 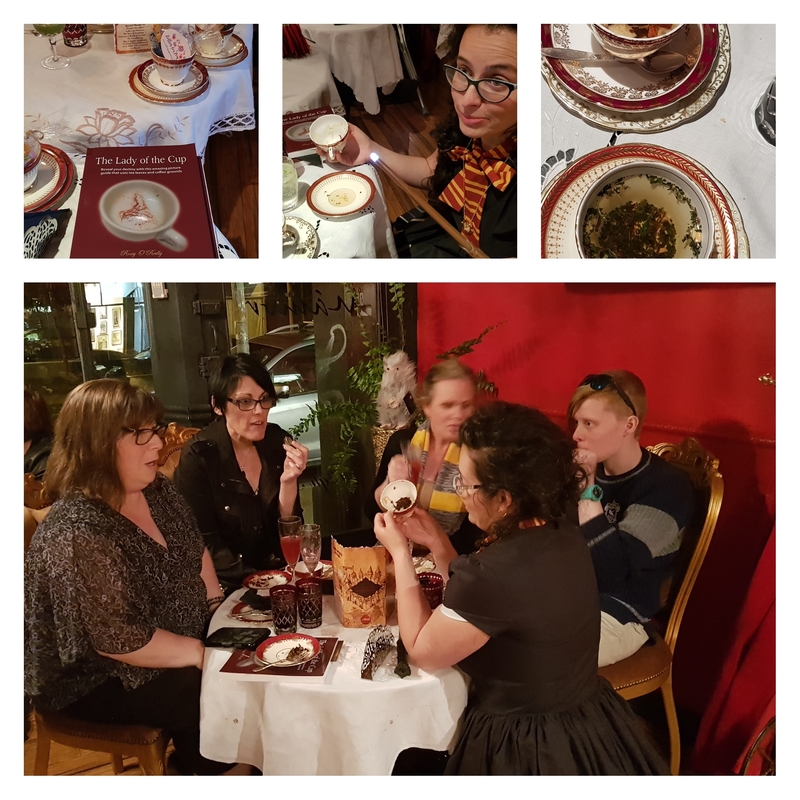 High tea and the divination class is $120 per person and includes food and the class and we also received a beautiful tea leaf reading book - written by Annie's mother. Bookings are required, as it is a small intimate group and they fill up fairly quickly. High tea with Annie is soon to open their own store and Reading Room on Rathdowne Street, Carlton - stay tuned. Click HERE for info on the December 1st class. Click HERE for December 1st bookings. Upcoming class dates are Decmber 1st then monthly into 2019. 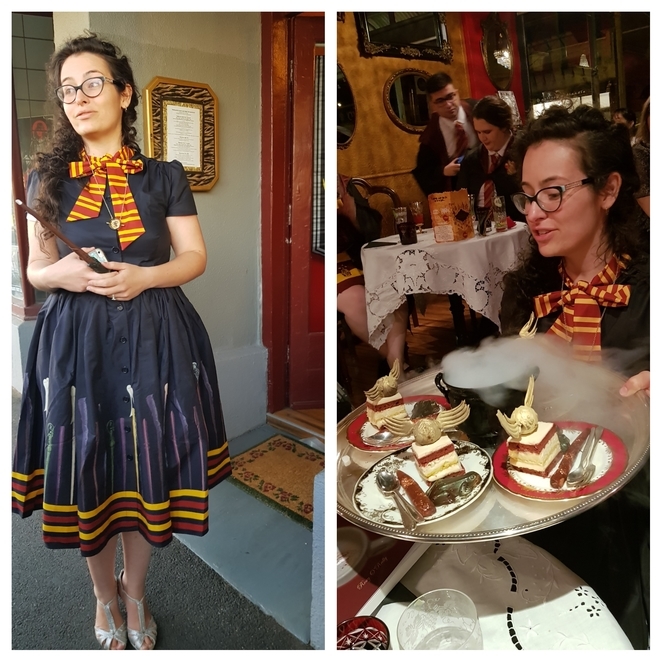 Have you been to a Harry Potter inspired "High Tea with Annie"? We would love to hear of your experience, please use the comments box at the top of this article to share with us or tell us what you are most looking forward to at this class. Have a wonderful and slightly spooky High Tea and divination class. Why? Have a wizarding experience few get to enjoy!